Lava E-Tab Velo+, a 7 inch tablet launched for Rs 4699. It comes with Android 4.2 jelly bean OS , powered by 1GHZ cortex A8 processor. The 7 inch capacitive multi-touch display has resolution of ( 800 x 480 pixels ). It has a 0.3 megapixel front facing camera and it lacks a rear camera . It does supports 3G via dongle but there is not slot for SIM card. There is 2500mAh battery to power the device . It features 3G, WIFI , Micro USB port , 3.5mm audio Jack and OTG. 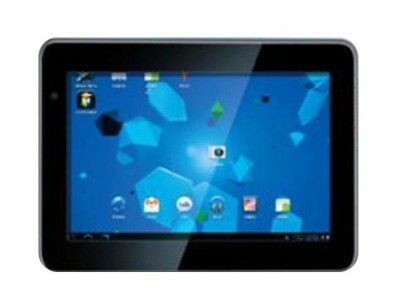 The price of the Lava E-Tab Velo+ may attract you but specs are not really that much impressive. It has 512MB of RAM, 4GB ROM ( internal storage ) further it can be expandable up to 32GB via micro SD card . 7inch WVGA resolution capacitive touch screen. 1GHZ cortex A8 processor, 512MB RAM. 4GB internal storage, 32GB expandable memory. 3G, WIFI, 3.5mm audio jack, micro USB port.